Time to hit the "rhode" on a scenic drive down Route 102, an iconic stretch of road in Rhode Island. This winding secondary road is 44 miles in total length, which makes it longer than the portion of Route 95 – a major highway – that runs through the state and is 43.5 miles. You want to get from northern to southern Rhode Island in a rush? Take the highway. You want to take it easy, go at a leisurely pace and stop to smell the roses, not to mention coffee, bath soaps, seafood and sarsaparilla, among other things? Then take your cue from Route 102, which from North Smithfield winds through bucolic Burrillville, Glocester and Scituate, jogs west into heavily forested Foster and down through quaint Coventry, West Greenwich and Exeter before ending up in picture-perfect Wickford, a village of North Kingstown. A more little Rhode ride that embraces small-town America at its finest you’ll not find anywhere else. We begin in the northern part of the state. Heading north to south, you can grab some water or a snack at Brigido’s Fresh Market in North Smithfield, a wonderful family store brand created by a hard-working Portuguese immigrant in 1943; we dare you to walk through the bakery and not buy inspired by the luscious smell alone. In North Smithfield you will also find the hamlet of Slatersville, known as America’s first planned industrial mill village, with loads of proof in its many surviving mill homes and a gorgeous colonial-era church on Slatersville Green, its white spire jutting into blue sky, all part of an area on the National Register of Historic Places. You can also do a little fishing and/or boating at Slatersville Fishing area on the Upper Slatersville Reservoir, a 144-acre body of recreational beauty that’s good for kayaking and canoeing as well. From there you could hit what is affectionately known as The Shrine of the Little Flower at St. Theresa’s Catholic Church, the first shrine to Saint Theresa of Liseux in the world, founded in 1923 four months after Saint Theresa was beatified. It is all set magnificently on hilly, windswept land along with Scala Sancta (Holy Stairs) leading to a reproduction of the Limpias Crucifix, and a shrine of candles amid various holy statuary. There are towering granite Stations of the Cross and a glorious outdoor alter where fair-weather masses are held. Head on down Burrillville way and if golfing is your thing, have at it at Crystal Lake Golf Club, an 18-hole, a par-71 course just shy of 6,400 yards that challenges duffers of all levels. 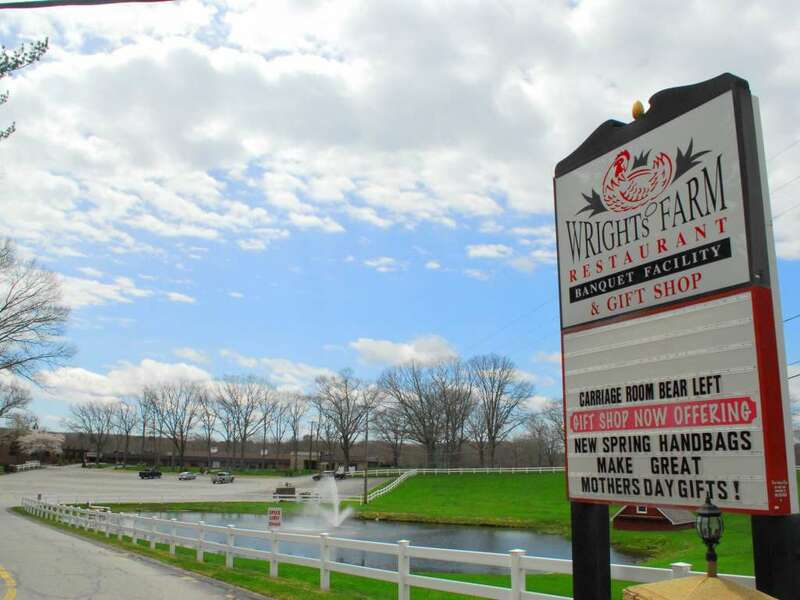 If golfing works up an appetite, you’ll need it at Wright’s Farm in Burrillville, which began life as a humble family-style restaurant in 1972 and which now seats 1,400 at a whack, serving chicken, pasta with homemade sauce, salad and Wright’s signature home-style French fries all for $12.75 – which includes seconds, thirds and however much more you can eat. There is so much to see on this route and we&apos;re still in the northern part of the state. Follow along the route with our map below and stay tuned for our second installment, as we&apos;re just getting started on our bucolic Rhode Trip on Scenic Route 102.